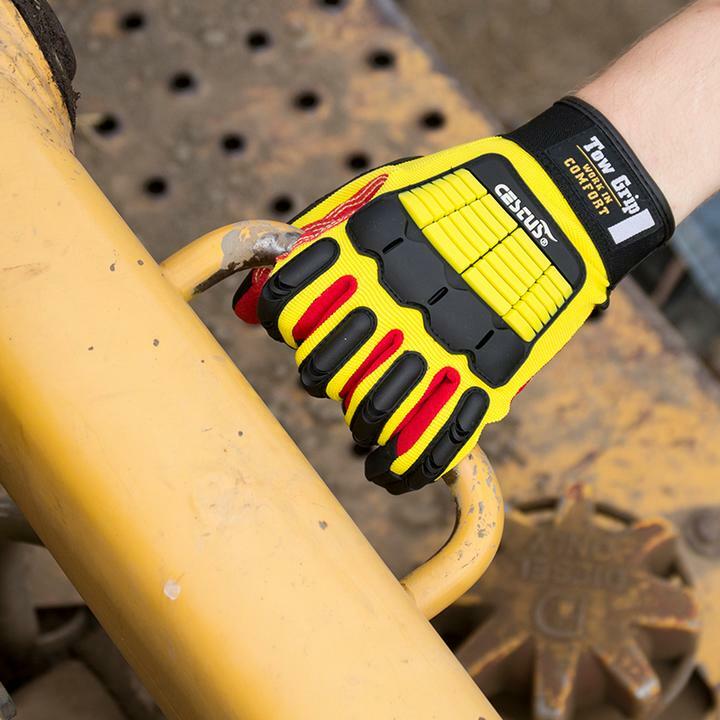 The Tow Grip LC features an oil resistant palm with Skid-X Grip patches, for added grip control along the rope channel of the palm that is double stitched on with Kevlar thread. Flexible Thermoplastic Rubber (TPR) impact shields on the back of the glove add impact protection that bends with the fingers, and offers continuous protection from finger tips to metacarpal. 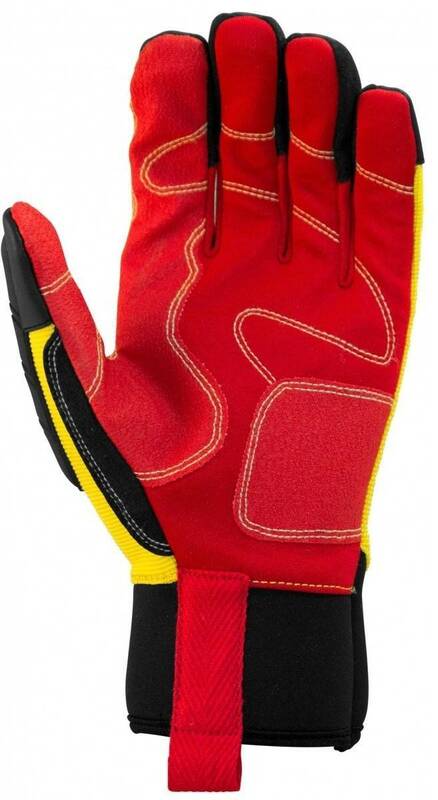 The neoprene long cuff covers the wrist, while allowing the user to pull out of the glove if caught in a pinch or machinery. Flexible TPR Shields: Impact resistance for back of fingers down to the fingertips, thumb, knuckles and metacarpals. Triple-Layer, Film-Coated Cotton Palm: Adds oil and water resistance. Skid-X Grip Patches: Adds oil, water, and petro-chemical resistance, as well as heightened grip control in wet or oily environments. 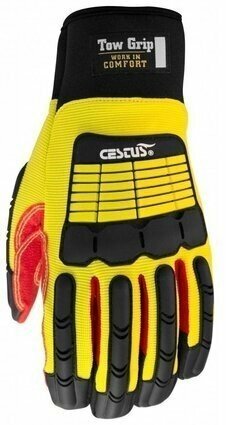 Kevlar Double Stitching: Adds durability and longevity. Long-Cuff Design: Allows for tear-away ability with heavy machinery.